My apologies for the lack of posts for almost two months!! I got this post ready and just needed to insert pictures. Then I got busy with Christmas season and then during my down time I decided to read instead. (๑•́ ₃ •̀๑) I been neglecting everything else in my life since then... Just work and read.. Only eating when I had to.. So bad! But I am back! So here's my super belated mask post!! Hope you enjoy! 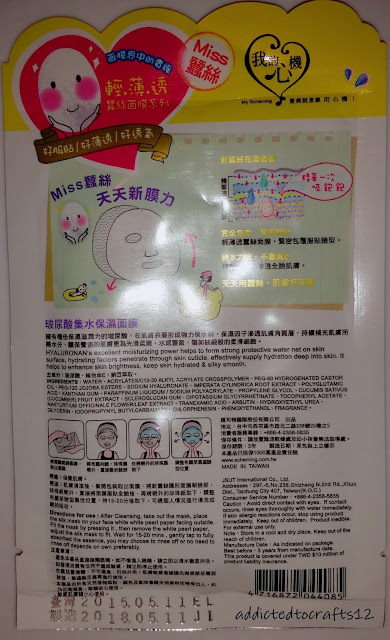 I was so excited to find cheap silk masks from Taiwan that I ordered the Book of Masks I in hydration. 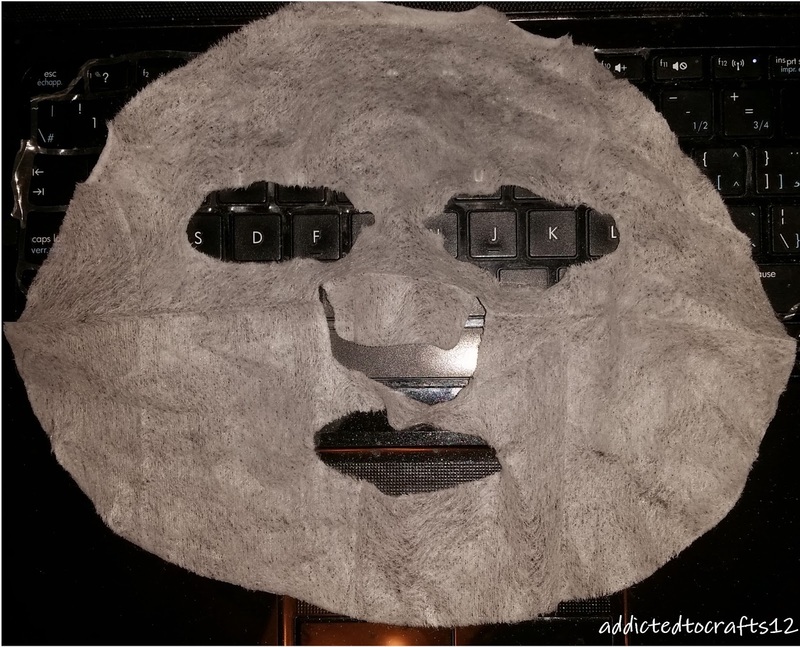 I always feel like my skin needs more moisture. 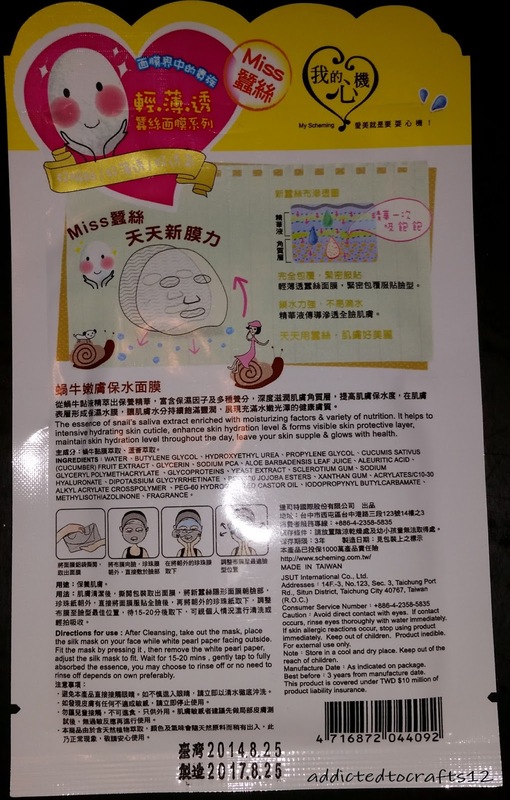 This is one of the masks in the Book, I decided to use it as my skin was kind of acting up and I wanted to provide moisture while calming my skin. 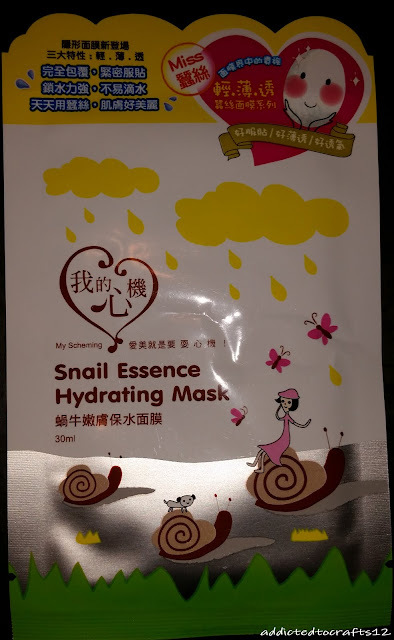 What better than them lovely snails right?? I am kind of weird, but I do like the fact that you open from the bottom. Sometimes, when the packaging is really pretty and I don't want to destroy it so I'll rip from the bottom. 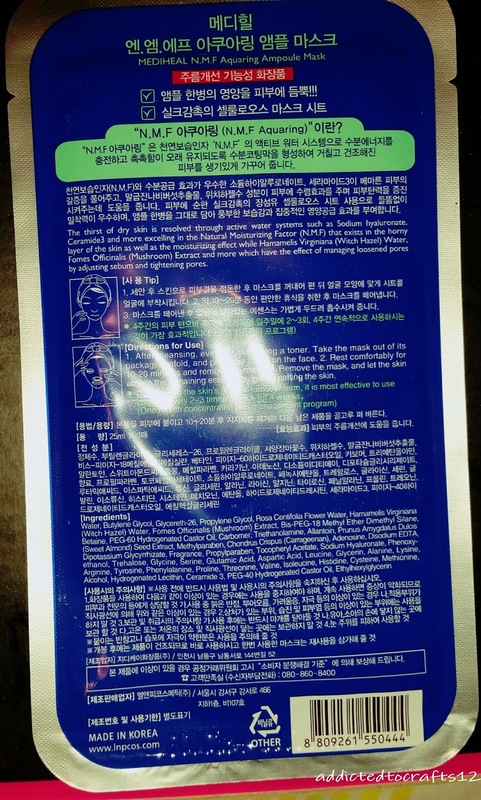 So I like these masks open at the bottom. 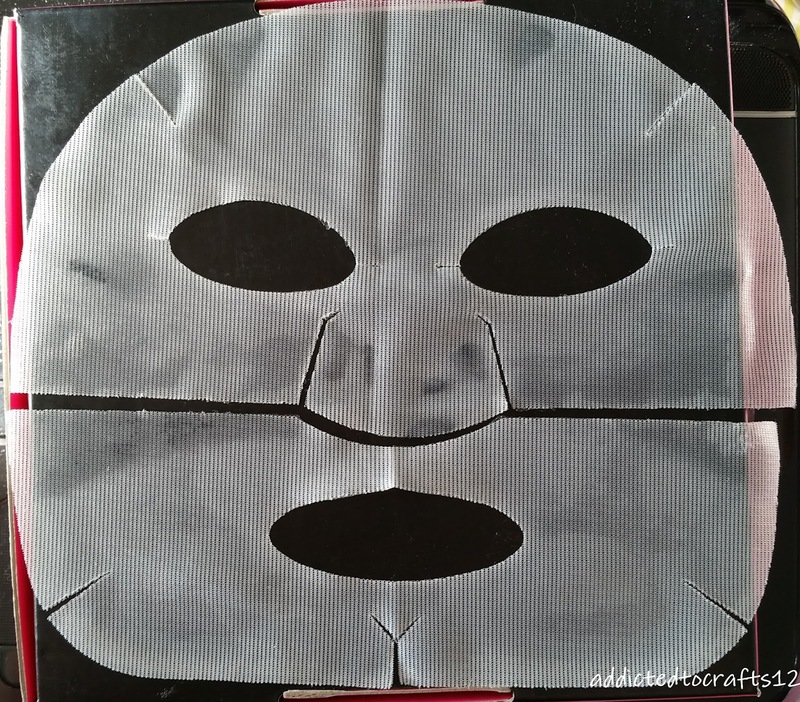 Like all My Scheming masks, or Taiwanese masks for that matter, it was filled with essence. I squirted some onto my surrounding as I was opening the package. The mask has a very light faint smell. By faint, I do mean faint. I have to take really deep sniffs to get a stronger scent of it. I can't really identify what that smell is, but it didn't bother me and goes away after a few minutes. 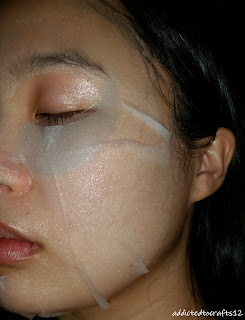 Like the previous My Scheming masks I tried, it hugs my skin like second skin. Yay for great fit! 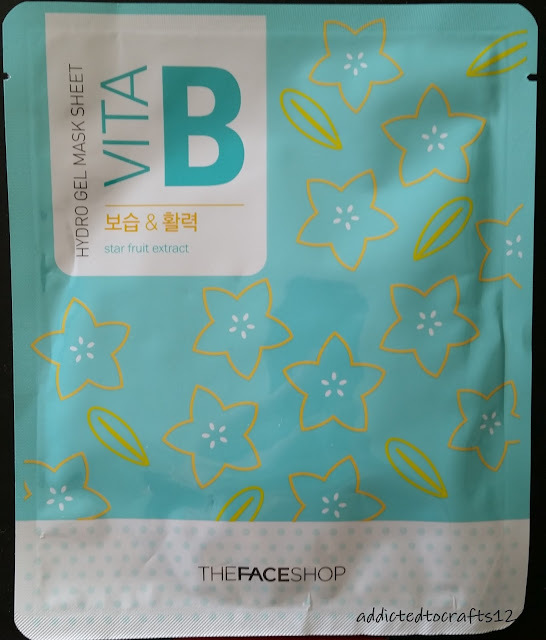 I took it off after 25 minutes and has quite a bit of essence left on my face. It only takes about 5 minutes to dry and did not feel stick to the touch. Yay for non-stickiness! As much as I loved the fit, I can't say I loved the result. My face feels moisturized, but it wasn't plump or anything. It just feels like.. I put on some serum and it sunk in and that was that. Kind of disappointed. 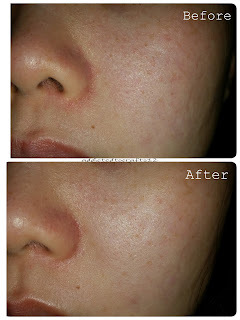 But I have to say it did seem to shrink my pores down a little bit. I am glad I got it as a part of the mask book instead of a full pack of 10. Because I don't think I'll buy it again. I got this as Interpark Global had it on sale for $12 USD including shipping. 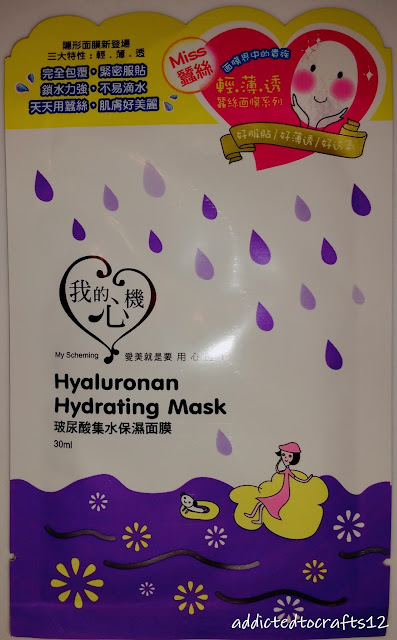 Like I said above and many times, I love anything that promises moisture. I just HAD to snag it up! Hehehehe.. There's so many chemicals in there that ends with "ine".. Hehehe It's just amusing to me.. Anyways.. Good news is that there is not added fragrance as part of the ingredients. Bad news is there is alcohol. I assume it would be in a very small amount as it is very low on the list of ingredients. 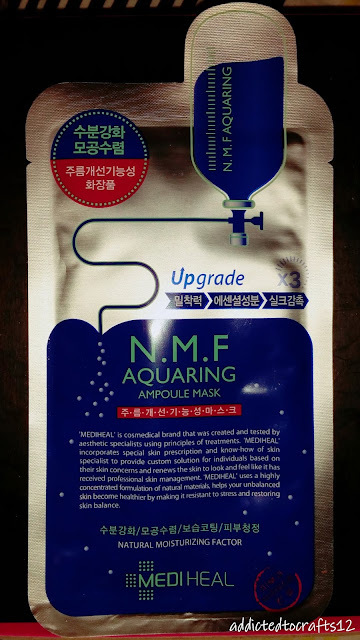 I was really excited to try this as I really liked the Aquaringer mask from Leaders. Yes they are different producers, but come on, Aquaring, Aquaringer, they should perform very similarly.. As least I hope. My excitement was dampened when I opened the package. Right away I can smell this chemical, alcohol kind of smell. Not too pleased with that. Thank goodness there wasn't much of the essence in the package. So I don't feel like I wasted much essence when I throw it away. I took the mask off after 30 minutes. The mask itself was still moist except for the upper lip area. There was still lots left on my skin to sink in. It took a while for it to sink in, even then my face was still really sticky to touch. I had to put on tiny smidgens of the Abalone cream to rid of the stickiness. Excuse the eye patch in before.. I like to double mask at the same time. The next morning my face was.. Okay at best. The stickiness was gone so everything was absorbed. But it didn't feel soft or as plump as I liked. It does feel smooth but I can't say if it's the mask or the Abalone Cream. I will keep using the mask but I can't say I am blown away by it and won't repurchase in the future. 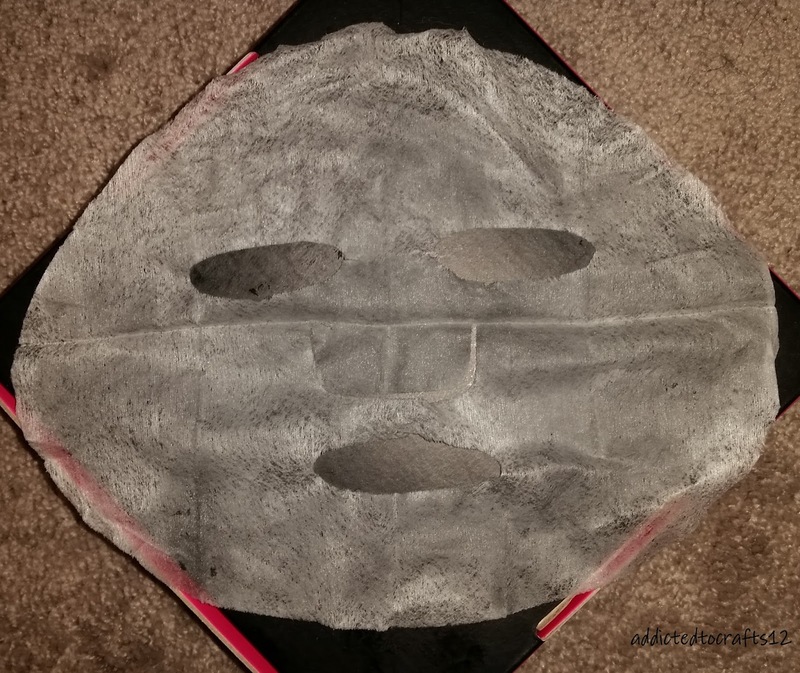 The mask has a very faint smell. Unfortunately I can't say for certain what it reminds me of. But because it is so faint, I can't smell it when I had the mask on. As for fit, it's... Okay at best. The upper mask is alright, it goes all the way to my hairline. But the lower piece is a disaster. 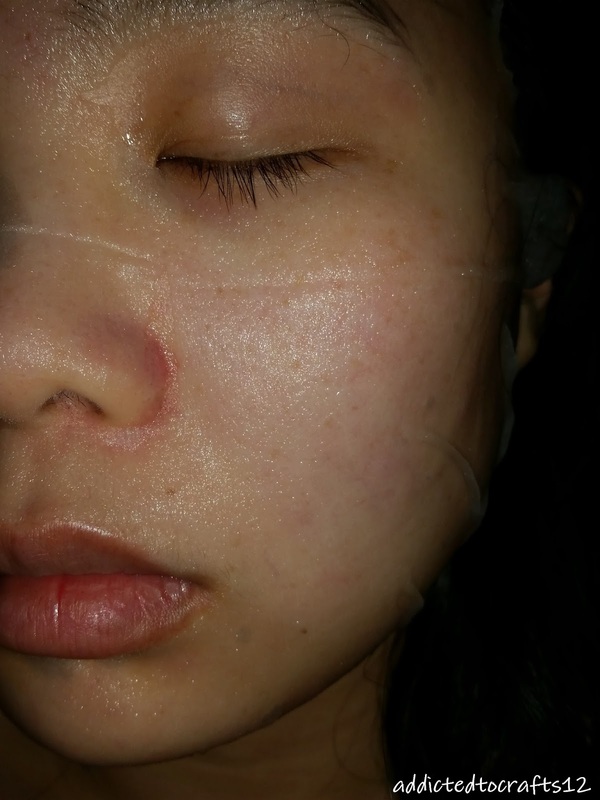 My jaw and jawline was not covered at all, no matter how I adjusted. I also got a little extra flap over my nose, but that's because I got a relatively small nose so I can't really fault them on that. Due to the fact that it's so thin, I really wanted to see how long I can keep it on before it dried out. I managed it for 47 minutes before it started to feel dry in most areas. 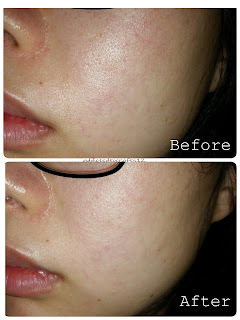 When I took it off, there was no extra essence on my skin whatsoever. 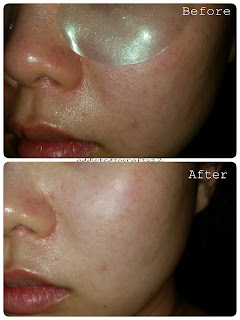 But, because it is so thin, the mesh in the center actually left an imprint on my face. Wonderful... So glad I wasn't getting ready to go out. Oh! I almost forgot! The mask made me feel like meh. My skin felt like I just finished applying toner or essence to my face. So it feels smooth to the touch but doesn't have that dewiness I associate with a well moisturized skin. 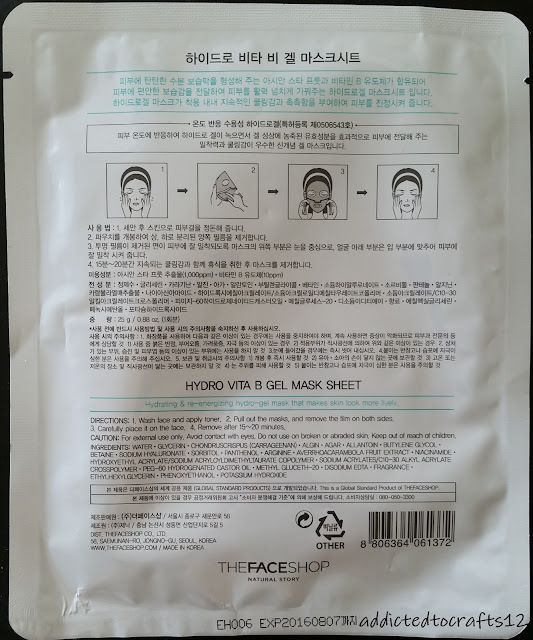 So, it's pretty safe to say at this point, I didn't like the mask enough to plop down $3 or whatever Face Shop Canada charge them at. I got this in the Mask Book, along with the snail mask from above. 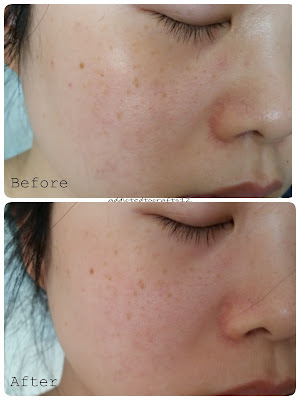 My skin was feeling particularly dry due to the weather, such that I can see dry patches on my cheeks after I applied toner. I think my hot shower probably did not help with the dryness. So I decided that I need to add some moisture before I do anything else. This was the mask I chose. It looked promising. Anything H-Acid is always a instant go to in my books. The mask has a chemical smell to it. But it is faint so I did require a big hard sniff to get that punch of chemical smell to my nose. Yup.. Real smart right there. It does dissipate as soon as I put on the mask so I am pretty happy about that. It's a messed up panda face!! It fits my face well, just like any of the My Scheming, or any silk masks for that matter. I had it on for 30 minutes before taking it off. It was still moist around the cheeks and the forehead, but the edges around the jawline and upper lip area was starting to get dry and uncomfortable. There was some essence leftover on my skin but that sunk in quickly. I slapped the used mask onto my leg so my leg can get some much needed moisture as well. 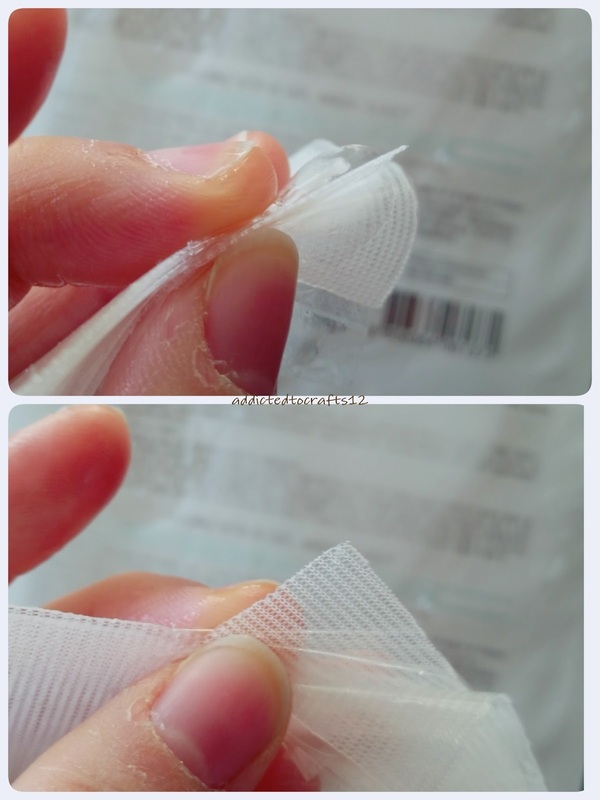 I did the same thing with all the extra serum left in the pouch in the same way. 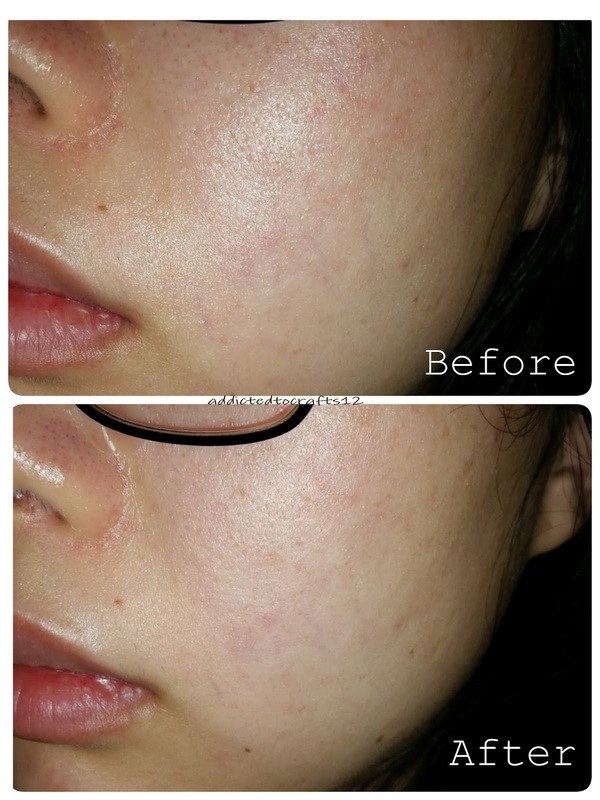 My cheeks feels less taut than before the mask, the lines on my cheeks looks lighter and my pores looked smaller. But my forehead did feel a little tight which is kind of odd. My skin looks happier and moisturized, but it didn't give me that soft dewiness I associate with a well moisturized skin. So I guess it may be enough for the summer but not enough for the cold AB weather. 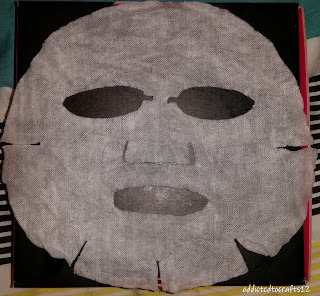 So far I tried two masks from the My Scheming Mask Book and I have to say I am not too impressed with it. With it costing $1.45 per mask. I don't think I'll repurchase it again as I can get better moisturizing masks at a cheaper price. Overall, I am pretty disappointed with the masks I tried in this post. Hoping the next batch will be better!! !